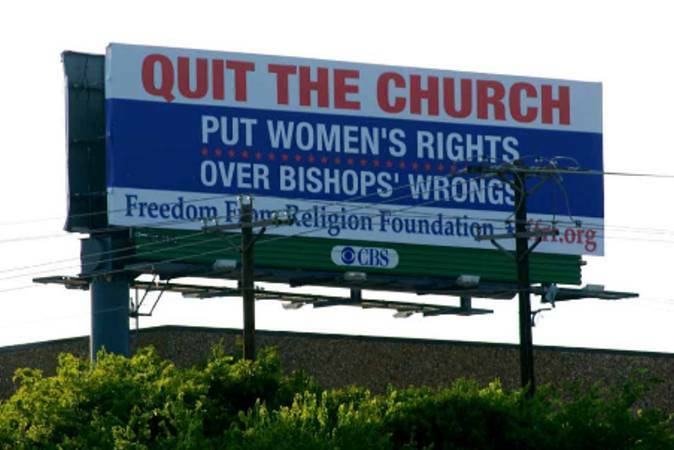 This 14×48-foot billboard looms over busy Interstate 30 east of Highway 360 in Arlington, TX, and was placed by the Freedom From Religion Foundation. It will be up for a month. It’s aimed at the Roman Catholic Church, but it could easily be directed towards any religious entity that feels it has the right to tell people what to do with their bodies and their health.